After a hiatus in 2015, the Midlands Food Alliance presents “Midlands Farm to Restaurant Week” and “Midlands Farm Tour” again in 2016 to educate the community on the importance of local farming, give folks the opportunity to see where their food comes from and garner support for local farms. Motor Supply Co. 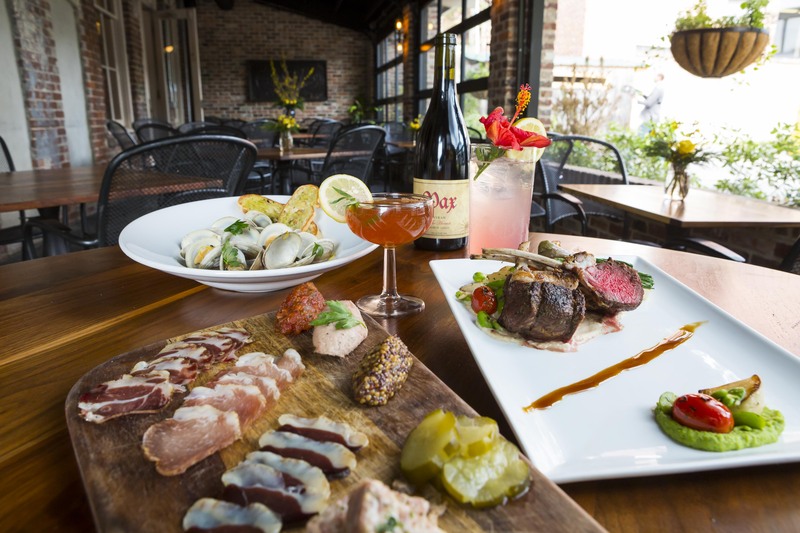 Bistro, one of the Midlands’ leading restaurants in sustainable ingredients and farm-to-fork fare, regularly partners with local farms across the Midlands – and will join 17 other restaurants that tout homegrown ingredients in presenting special menus for “Midlands Farm to Restaurant Week,” Friday, May 13 through Saturday, May 21, 2016. Guests will have the chance to embark on a self-guided farm crawl across Lexington County (this year’s focus area) during the “Midlands Farm Tour” on Saturday, May 21, 11 a.m. to 6 p.m. Each of the participating farms will provide a unique experience for guests – ranging from interactions with animals to in-depth looks at growing processes. Folks will visit nine sustainable farms, small purveyors and local wineries throughout the day: 6 Berry Farm, Bee Trail Farm, Humble Farms, Mercer House Estate Winery, Patchwork Farm, S.C. State Farmers Market, Sandhills Heirloom Tomatoes, Terra Kotta Farms and Wright Farm of S.C.
For more information and to purchase tickets, visit http://midlandsfarmtour.com. Motor Supply strives to support the Midlands’ farm community by bringing fresh ingredients to guests each day and is proud to partner with the Midlands Food Alliance. The Midlands Food Alliance (MFA) advocates and educates for a sustainable, equitable, and localized Food System. MFA members believe a resilient local food system ensures all residents have access to healthy and affordable food produced with dignity for food and farm workers while protecting our environment and providing a healthy and sustainable living for farmers.